I’ve Got A Thing For The Blues . . .
Powder freakin blue, who would have guessed I’d like an actual color other than black. It’s one of Springs “it” colors along with other pastels. 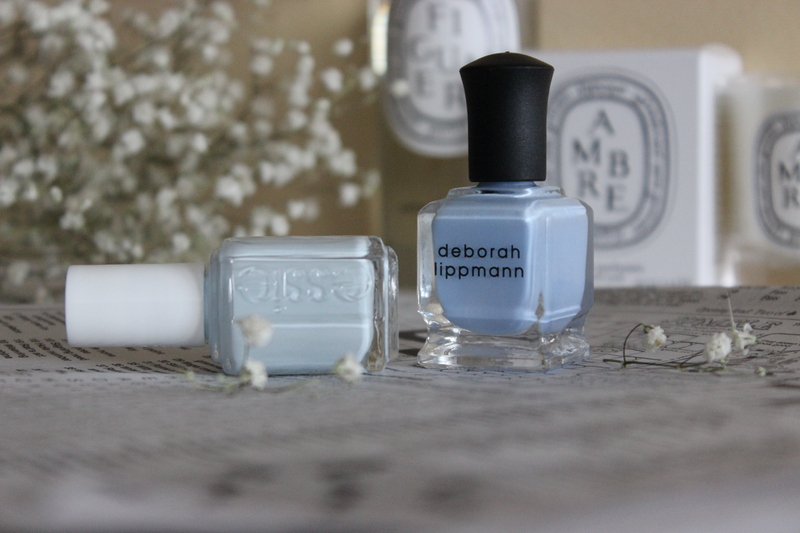 New in from Essie is a lovely pale ice blue in the shade Find Me An Oasis. 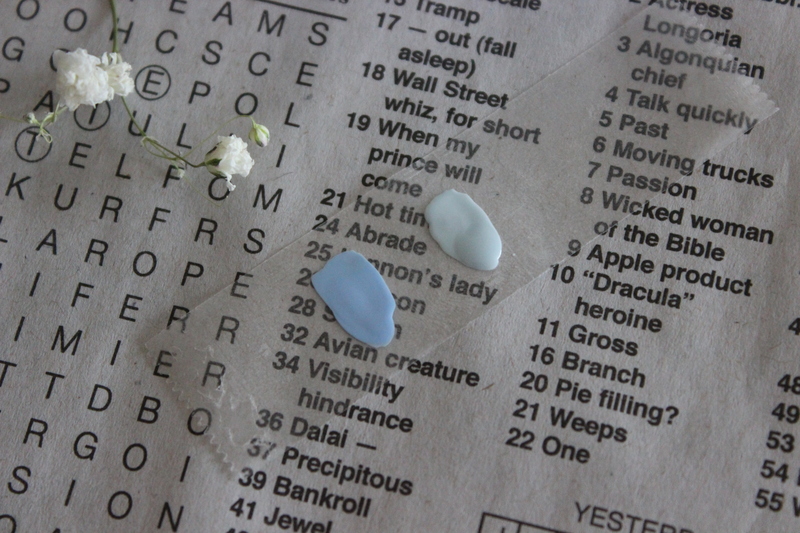 It’s opaque in just two coats and I’d say it has a white base with a tinge of blue to it. Essie polishes usually last 5-7 days before I start to see chipping. Next is Deborah Lippmann’s Blue Orchid from their new Spring collection, it’s a periwinkle blue with slight purple undertones. This is my second go at DL polishes because the first polish I tried wasn’t all too great. Luckily this glides on smoothly and is opaque in two coats. I might have gotten one from a bad batch the last time. It too has the same longevity as the Essie polishes. I also did a post on a dupe for the YSL Gris Underground shade which is in the similar shade range if you’re interested click here. What blues are you into this season?